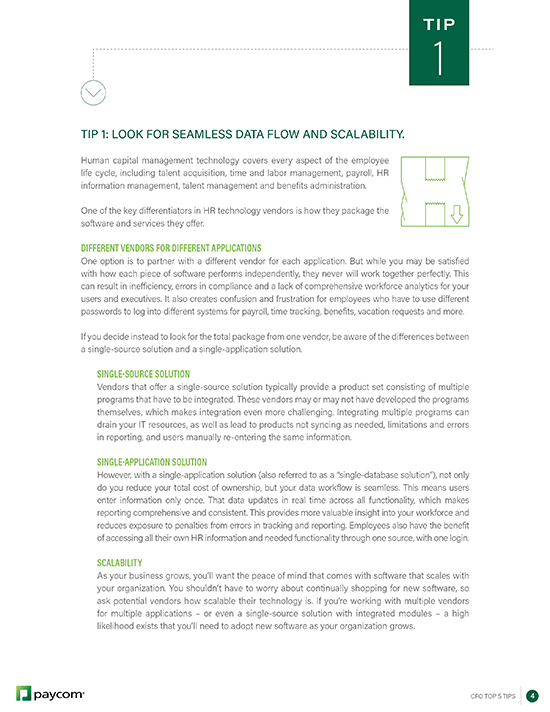 Selecting an HR technology provider can be an overwhelming task, but is a critical component in taking your organization to the next level. 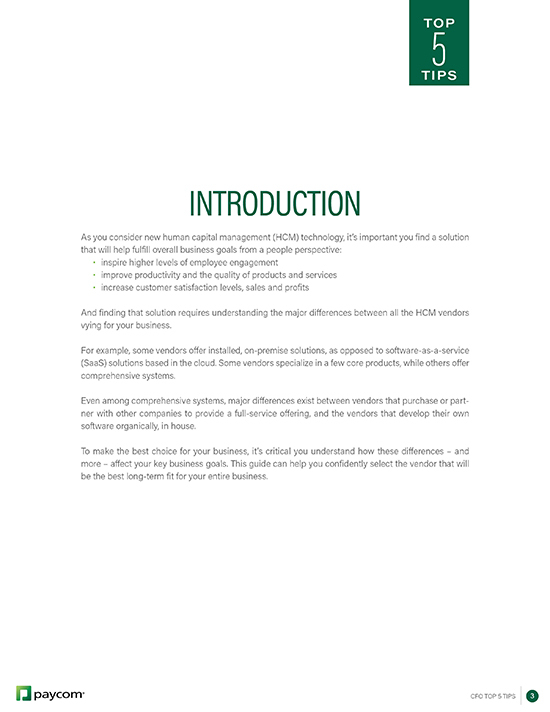 Identifying the type of system you need, the functionality that will best serve you and your employees, and the vendor that is the best fit for your business is a challenging but worthwhile endeavor. The right solution will help propel organizational performance and should scale with you as your business grows. 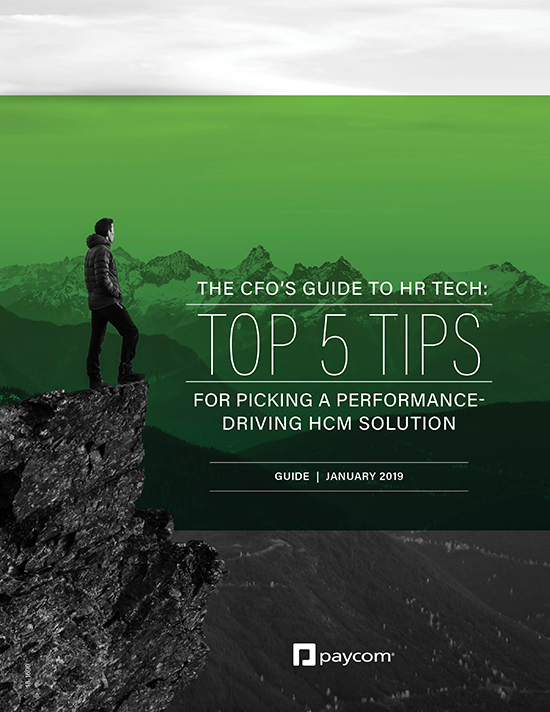 To learn how the right HR technology helps employers drive employee engagement and productivity, read Paycom’s guide, The CFO’s Guide to HR Tech: Top 5 Tips for Picking a Performance-Driving HCM Solution.